Welcome to Call Me Jack! In the year 1888... It was a dark time in the darkest part of the city. No one seemed safe at the time from the con-artists, thieves, robbers, prostitutes, the civil unrest , and of course then came the murders. There were quite a few more than was accounted for and it was unfortunate that so many met their fate at his hands. Whether they were good people or not... they surely didn't deserve to die in that manner. Everyone thought they knew who he was, but the sad fact of the matter... if they did, they couldn't prove it. Whitechapel was never the same again. An original audio drama podcast. 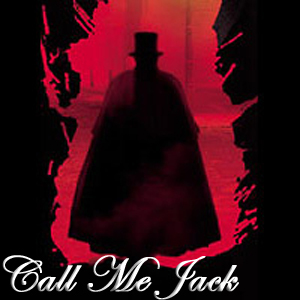 A promo for our audio drama: Call Me Jack. Necropolis Studio Productions produces non-profit original radio drama productions for the enjoyment of radio drama fans. There is no profit being made from this site. All music and/or special effects are used under the creative commons copyright for free non-commercial use podcasting. No infringements intended.